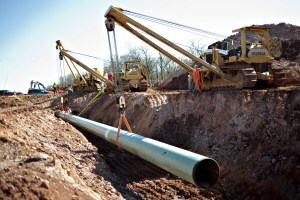 In a surprising twist, both chambers of Congress will finally hold a vote in the near future on the controversial Keystone XL Pipeline proposal. According to the Associated Press (AP), the sudden change in voting on the Keystone legislation stems from the still undecided Louisiana Senate race between incumbent Sen. Mary Landrieu (D) and challenger Bill Cassidy (R), who is currently a representative of Louisiana in the U.S. House. On the first day of the lame duck Congress Wednesday, Sen. Landrieu was among the senators who took to the Senate floor to voice her support for the pipeline. Landrieu also used her time on the floor to praise the spirit of bipartisanship, a sentiment voiced in speeches made by Sen. Mitch McConnell (R-KY), Sen. Harry Reid (D-NV), and Sen. John Cornyn (R-TX).